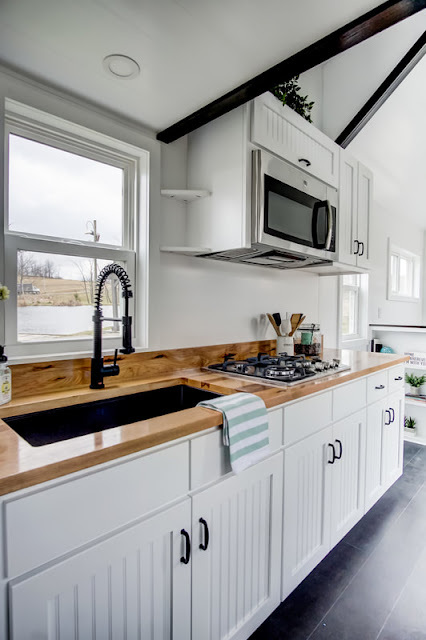 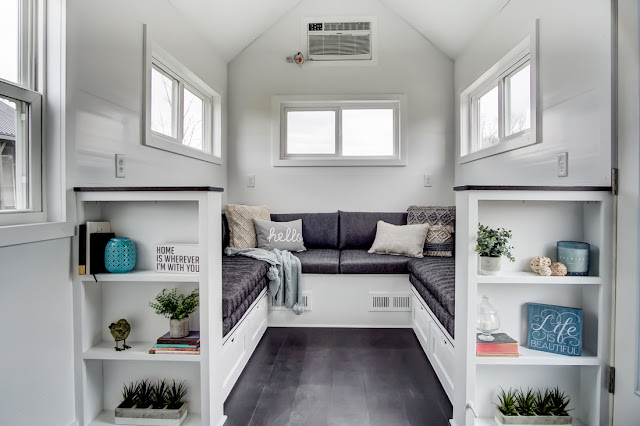 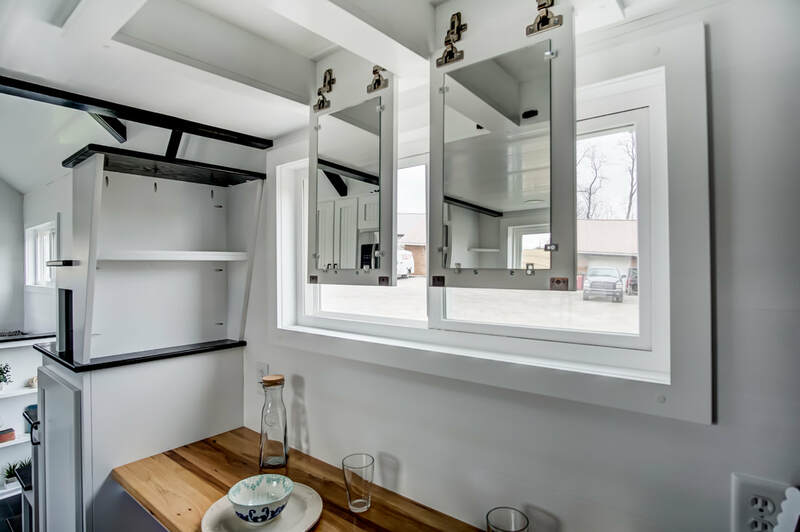 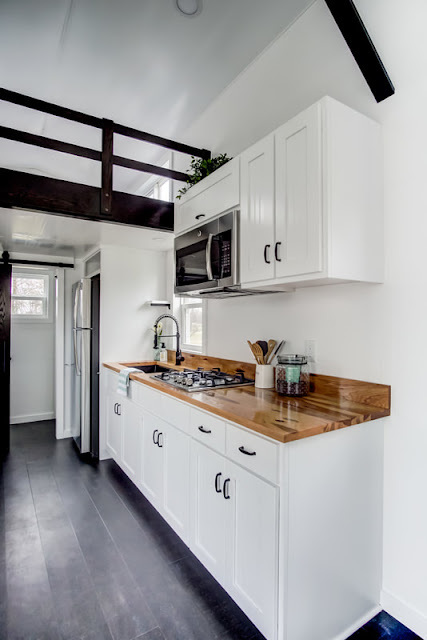 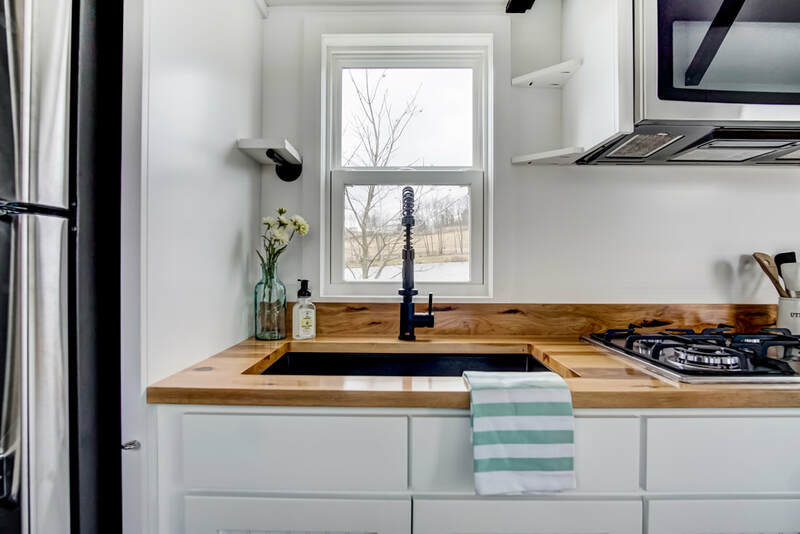 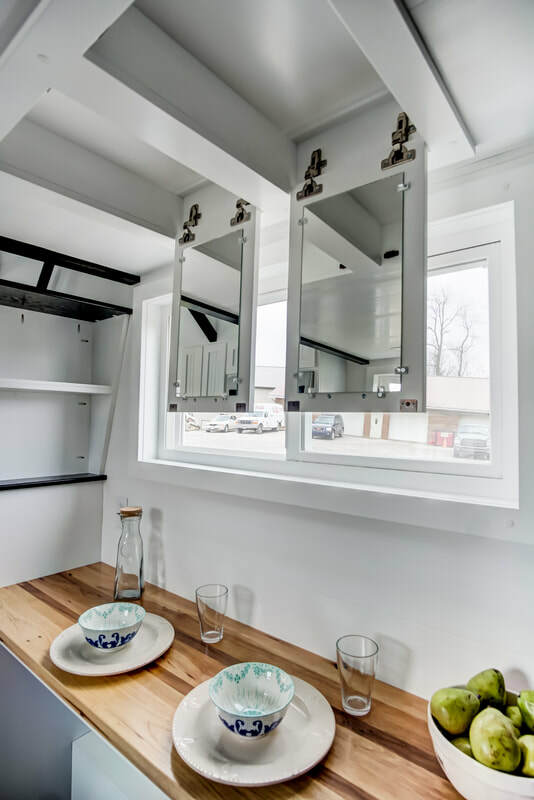 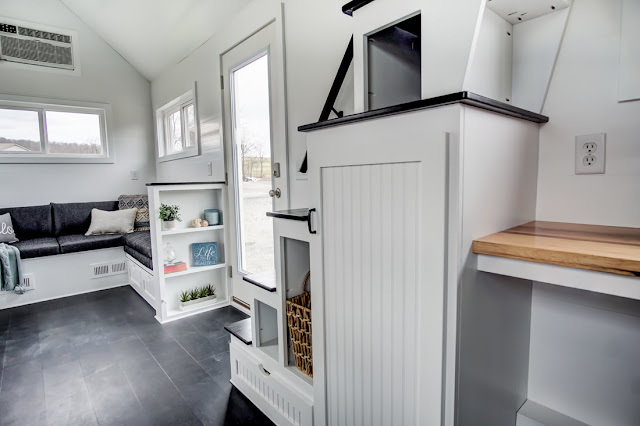 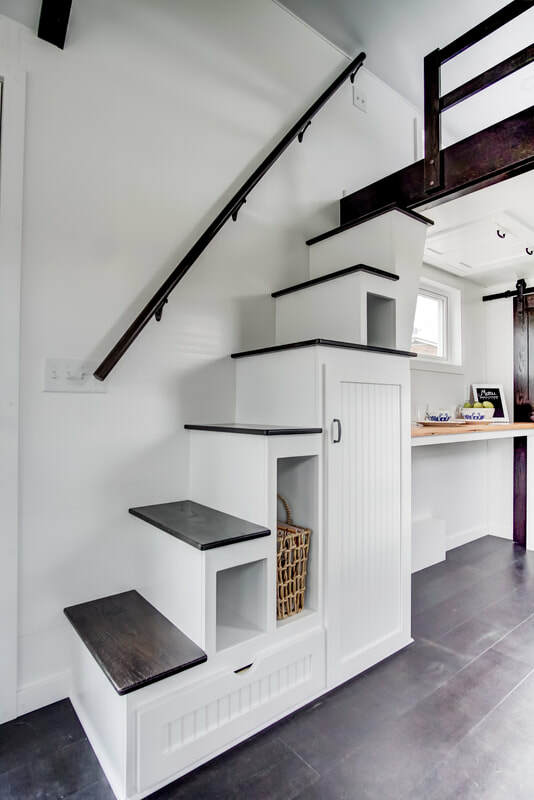 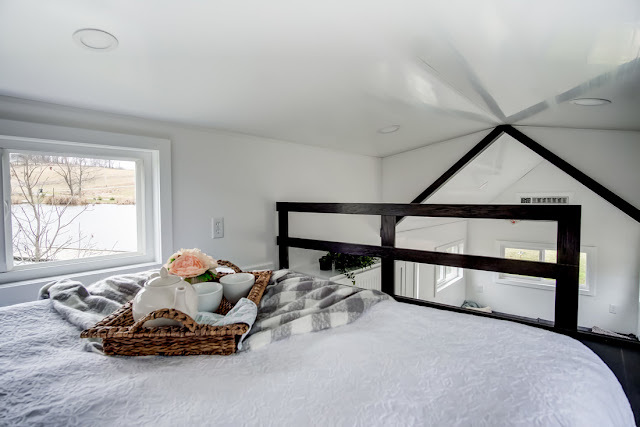 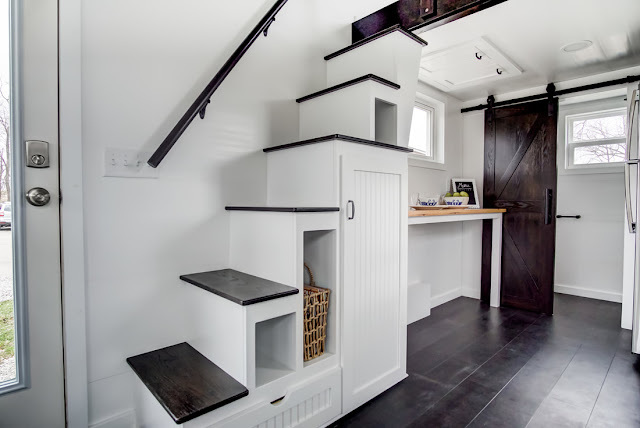 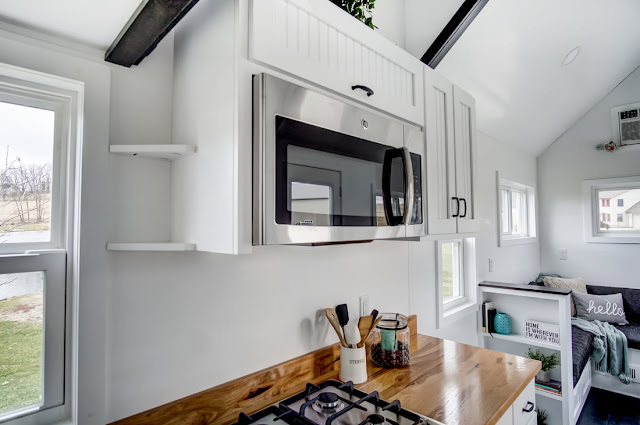 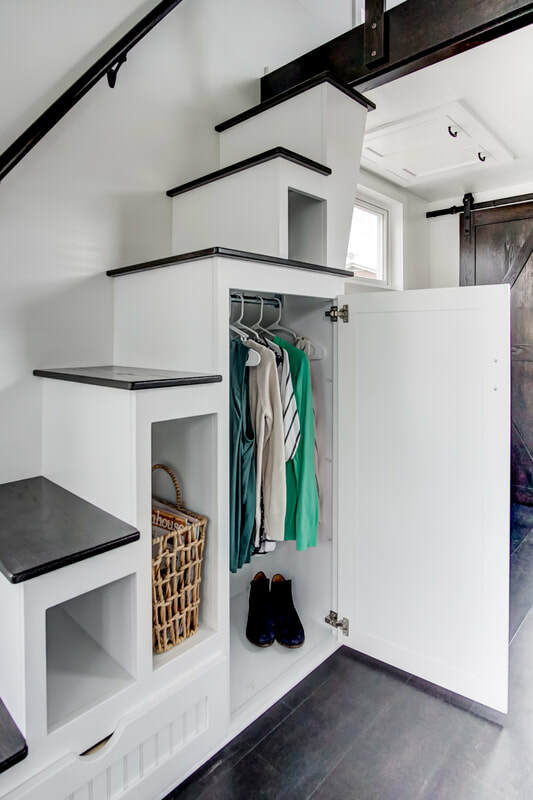 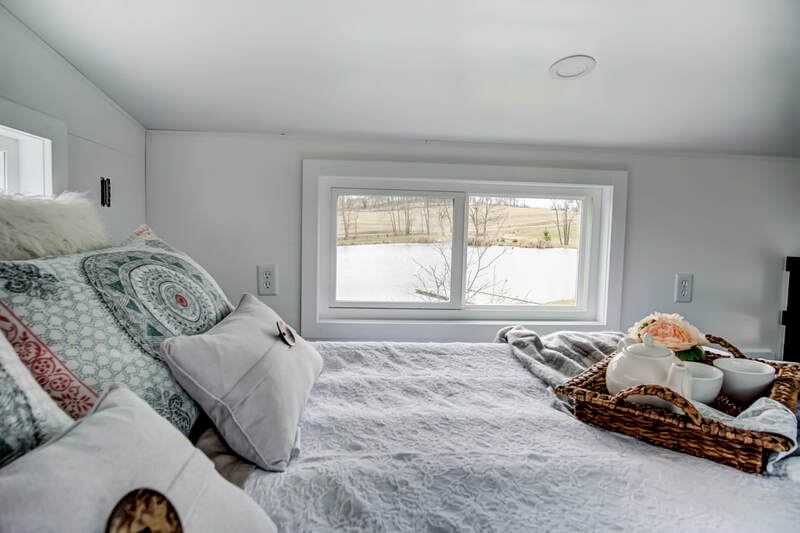 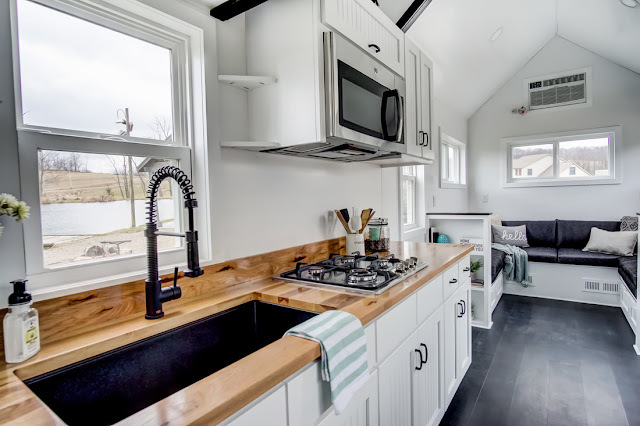 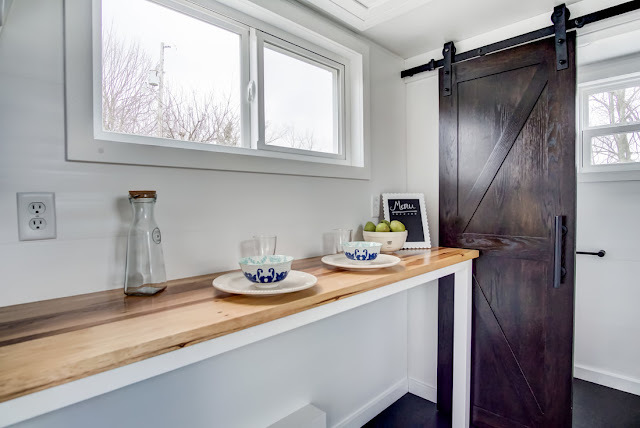 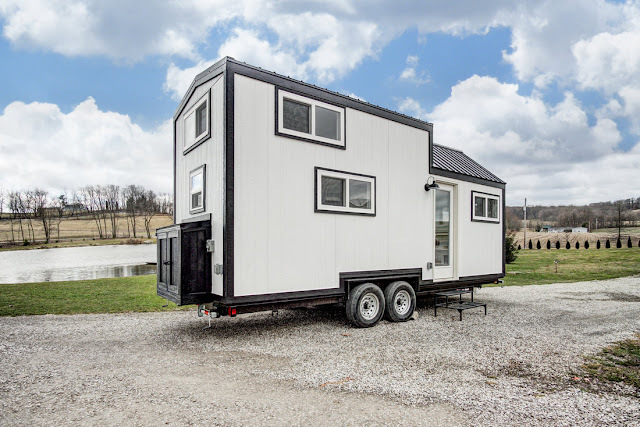 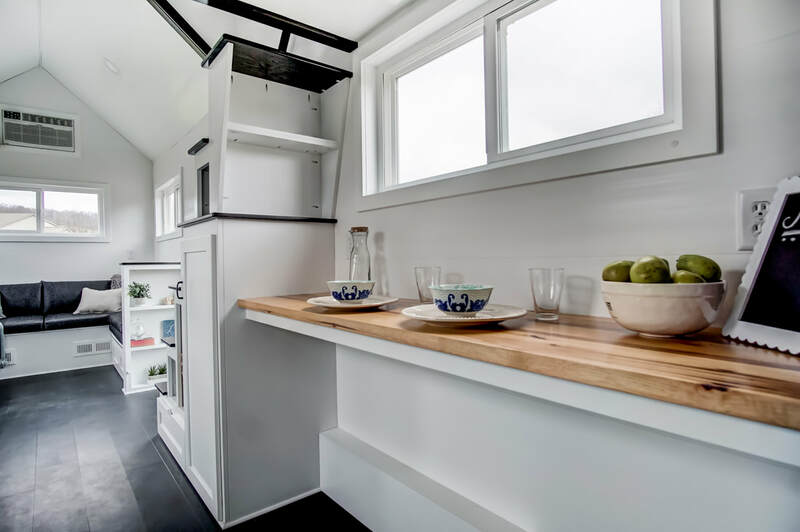 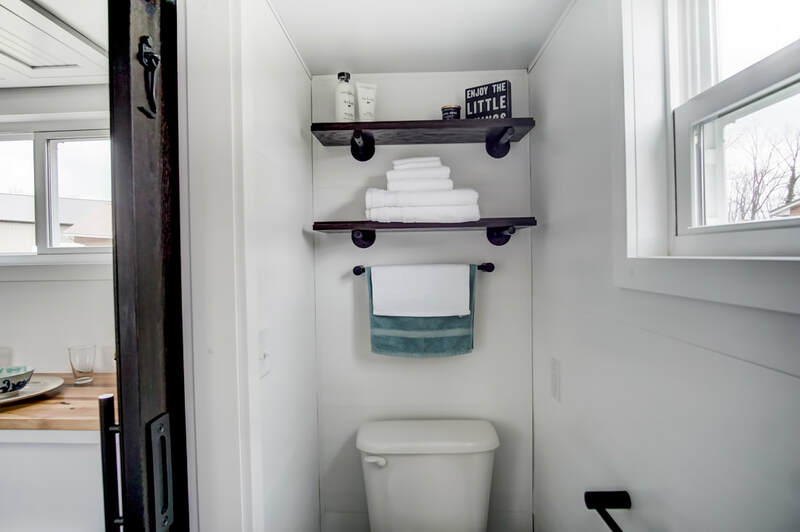 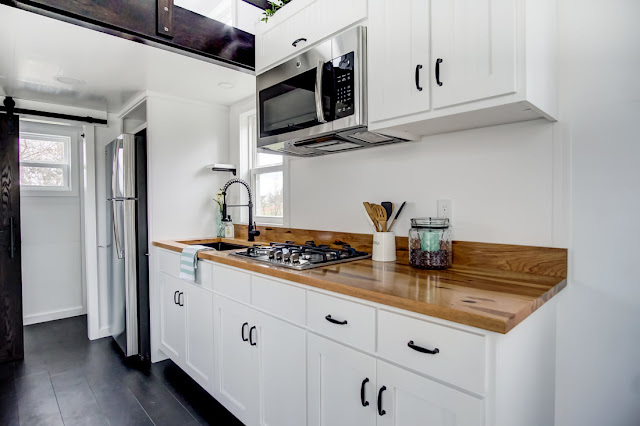 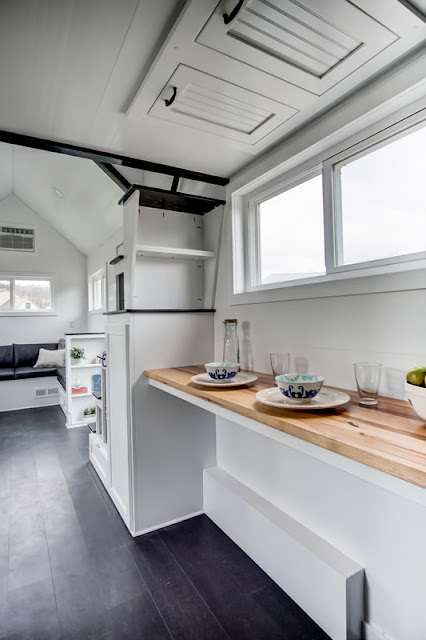 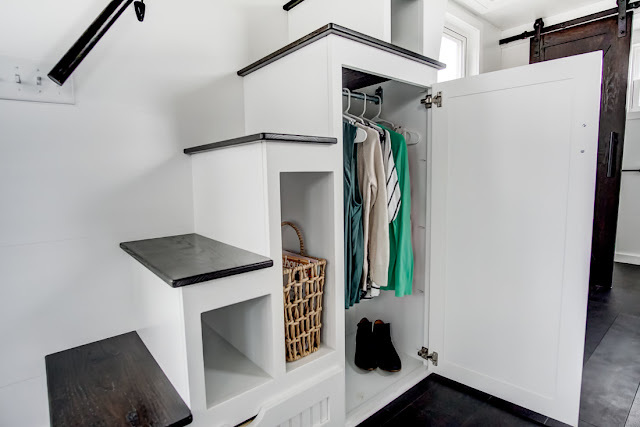 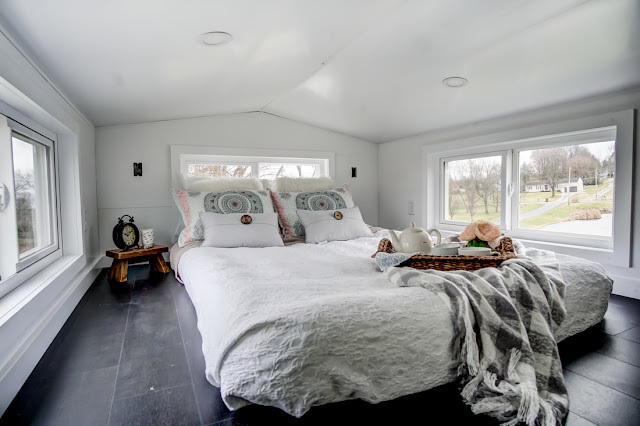 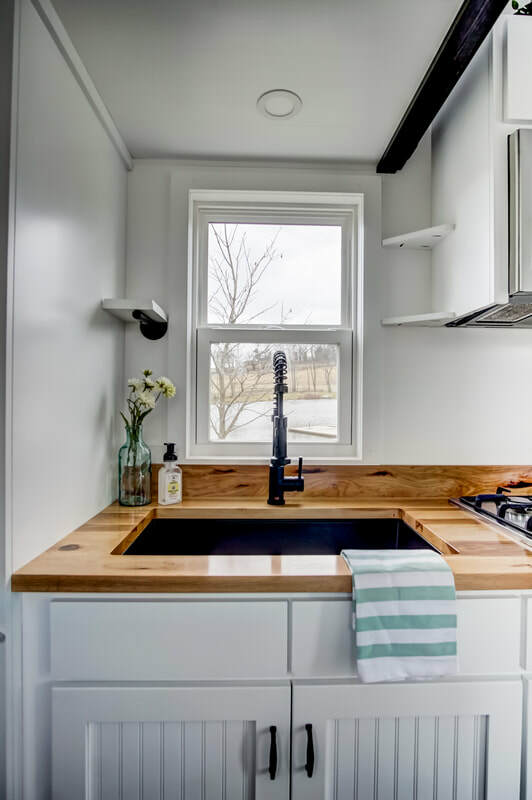 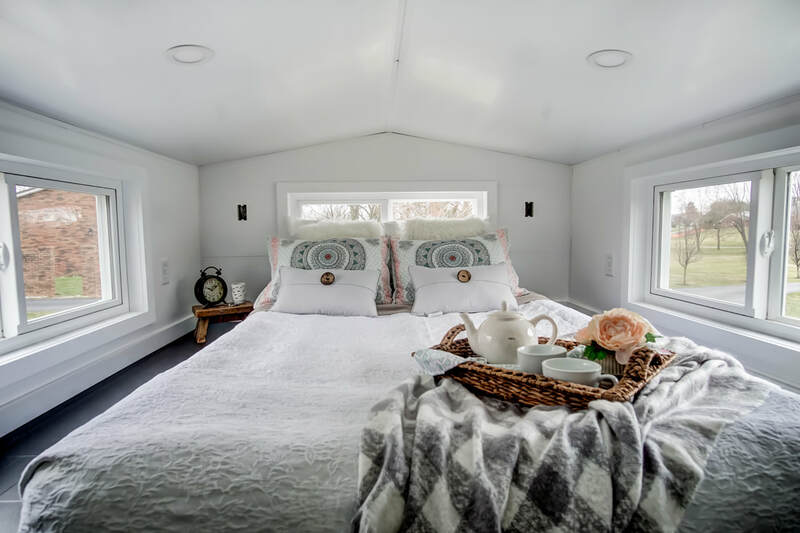 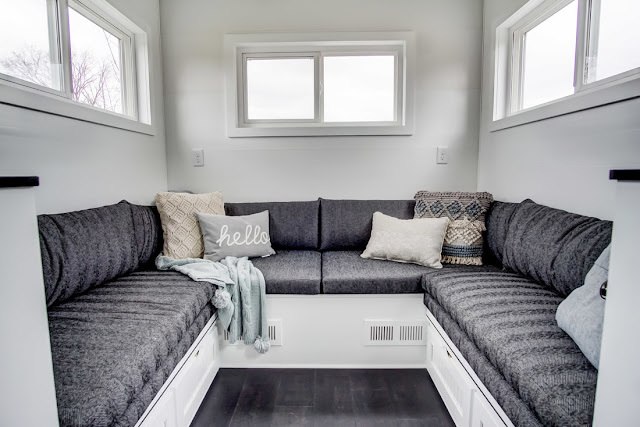 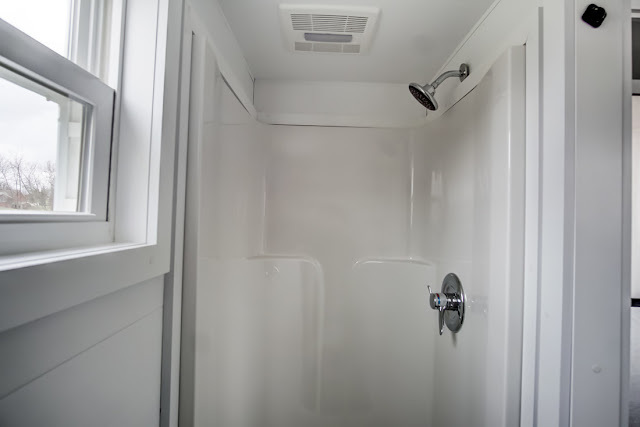 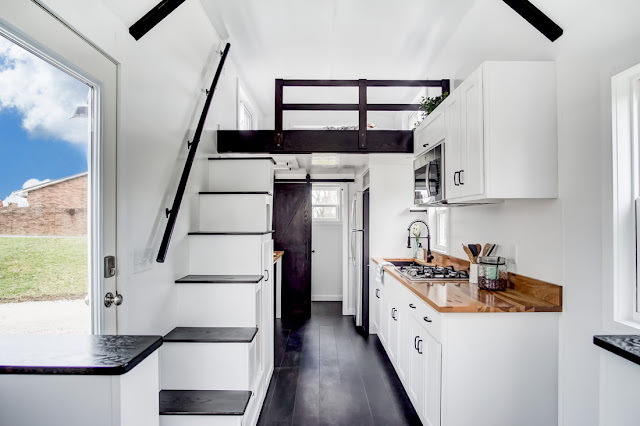 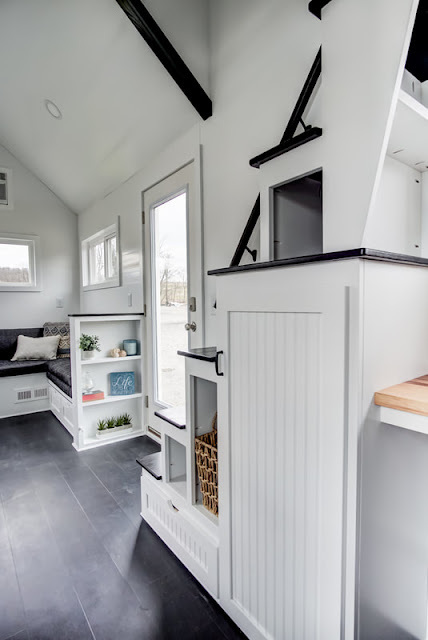 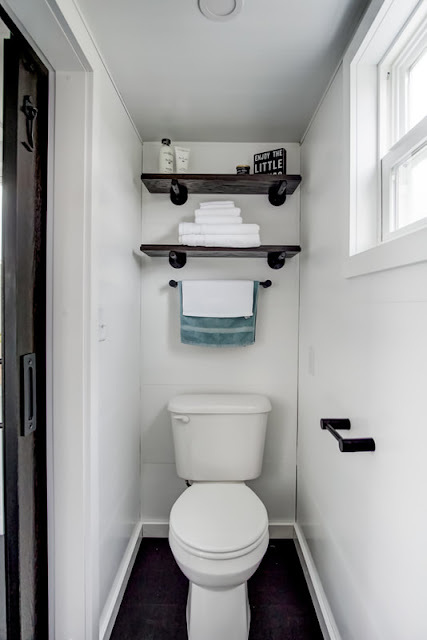 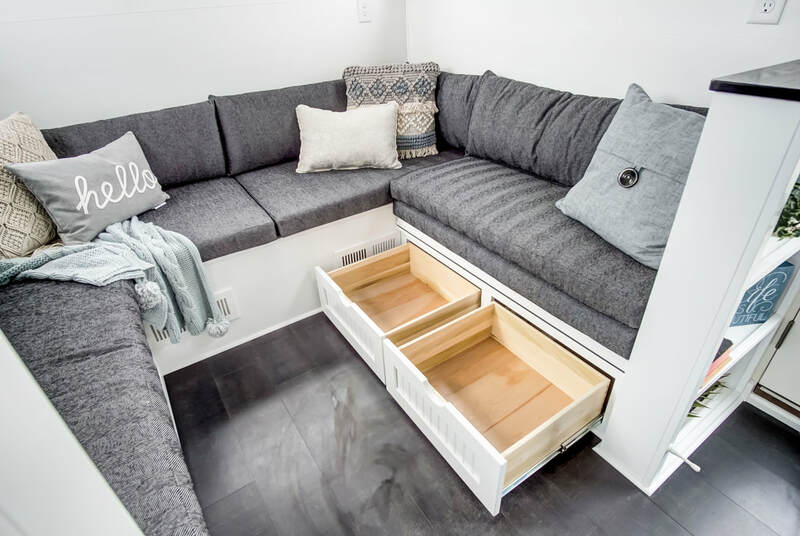 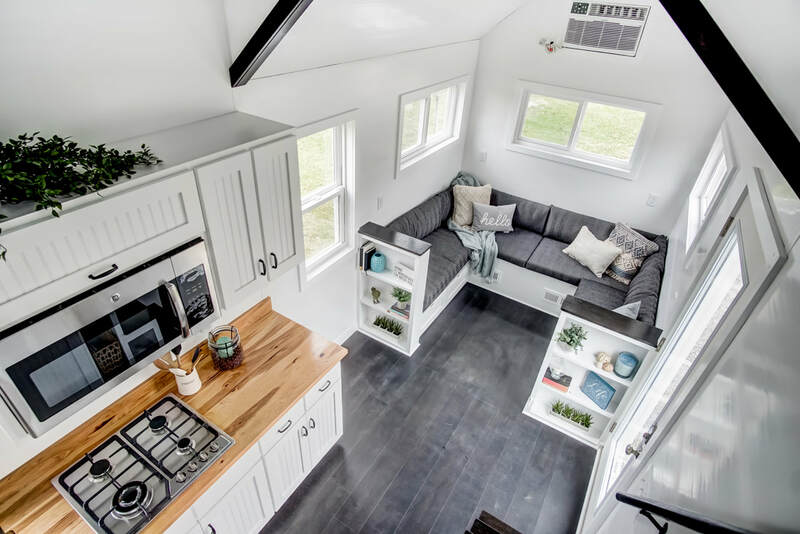 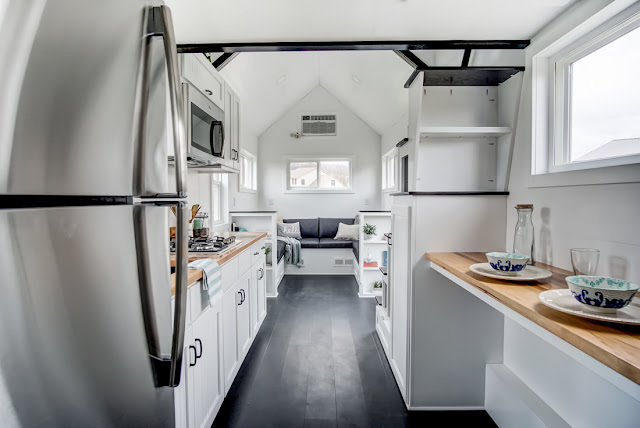 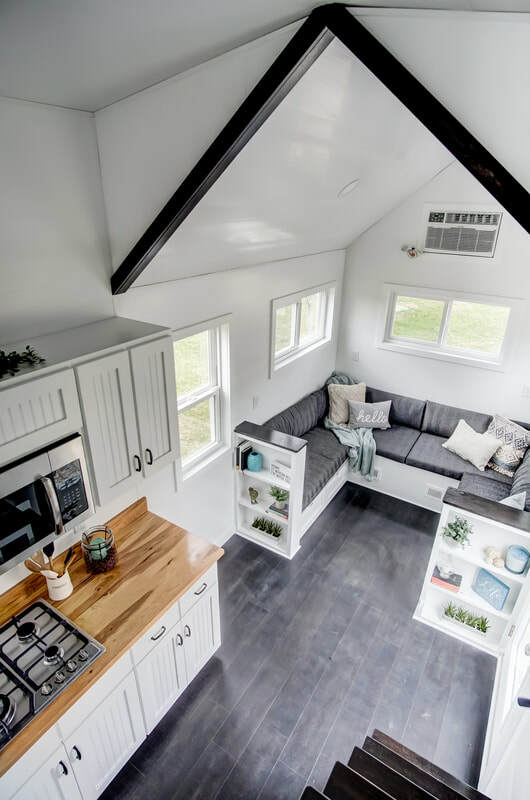 A gorgeous tiny house on wheels with a simple yet stunning white and black design, inside and out. 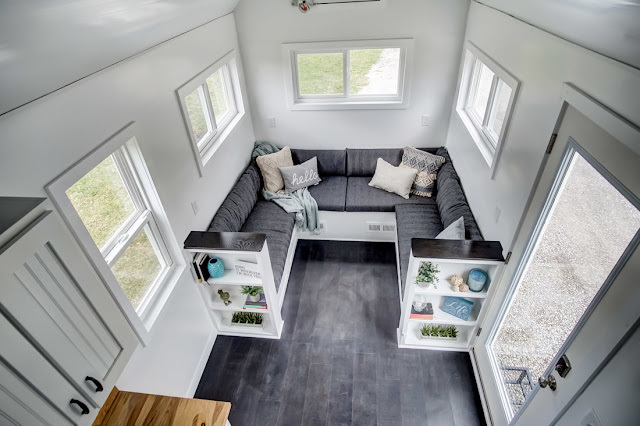 The living room is perfect for hosting friends with its unique U-shaped layout. Enjoy cooking in the home's beautiful full kitchen with bar-style dining right across! 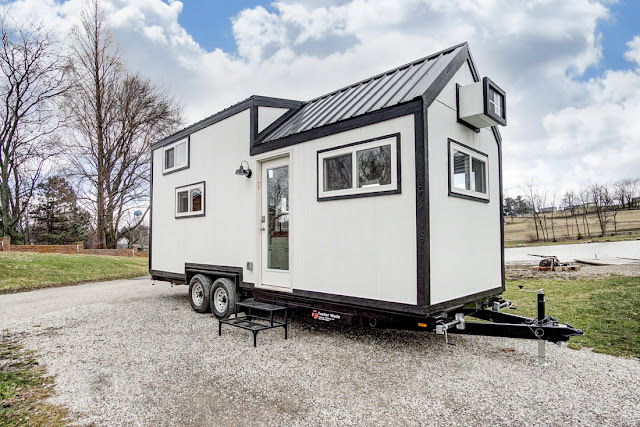 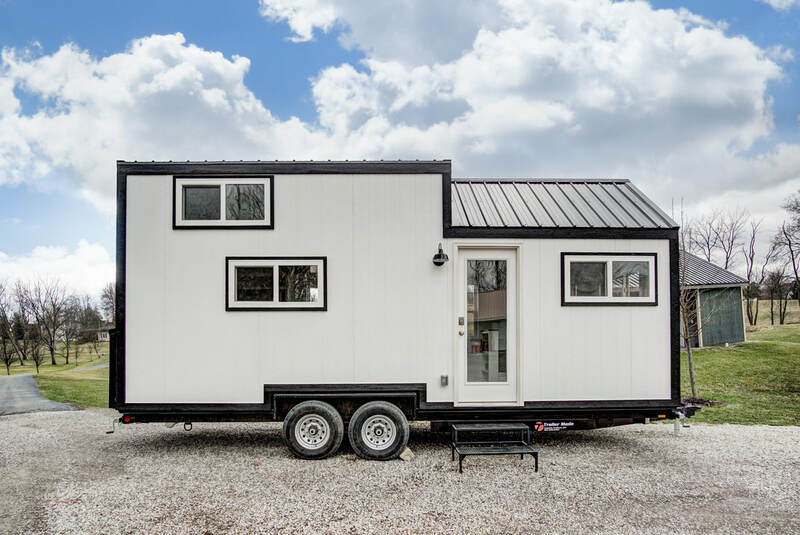 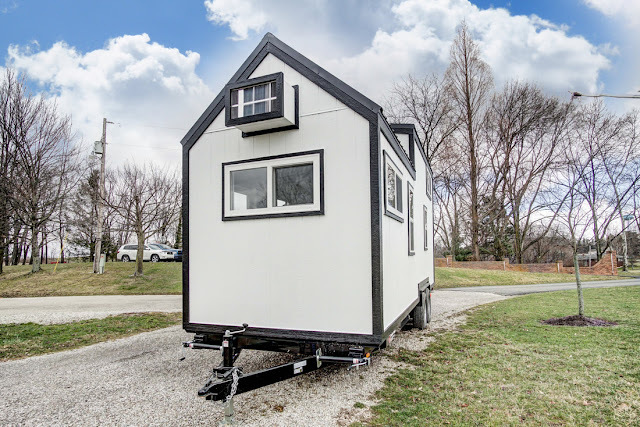 The Domino is based on MTL's Kokosing model and is available for rent in Illinois via Try It Tiny! 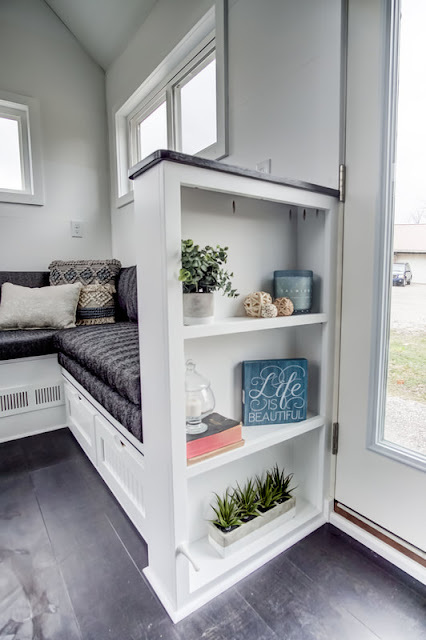 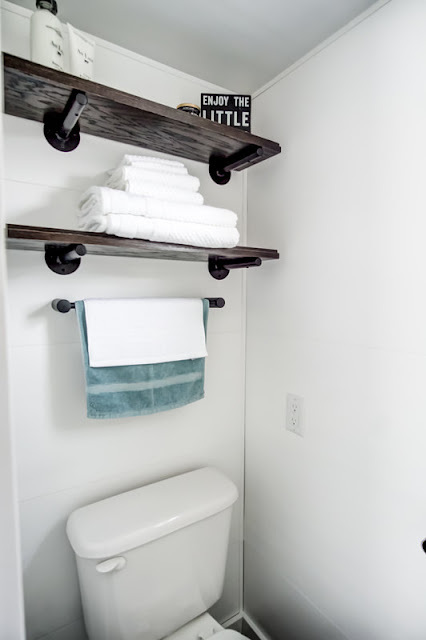 You can also call and order your very own model of the home for yourself! 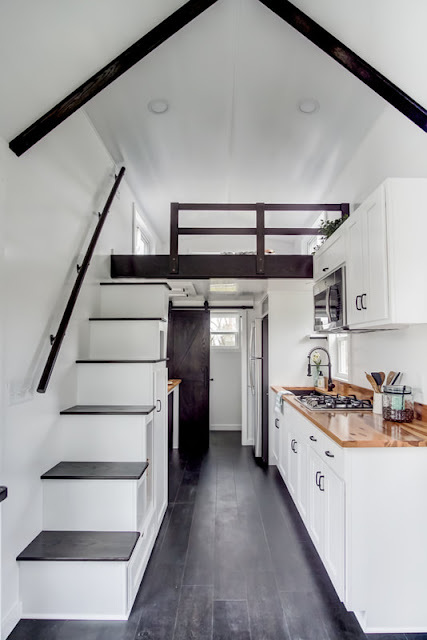 Contact Modern Tiny Living here for more info!